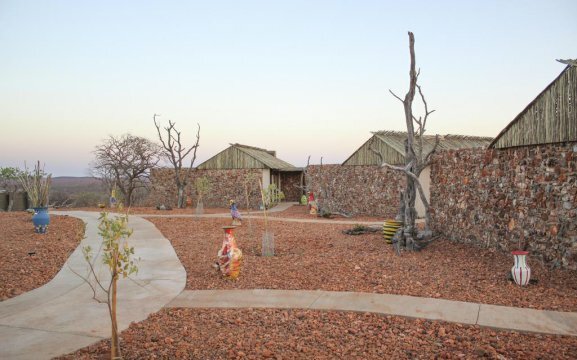 Okutala Etosha Lodge is located 40km from the Etosha National Park in Okaukuejo. It features free Wi-Fi at the lodge, an all year round outdoor pool, beautiful accommodation, restaurant and fully stocked bar. Guests can enjoy their meals at our restaurant and arrange for packed lunches on request. 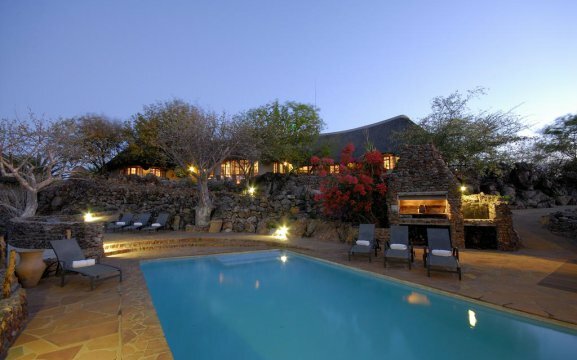 Or have a refreshing drink at our bar with a sundowner overlooking the waterhole just 40m away. 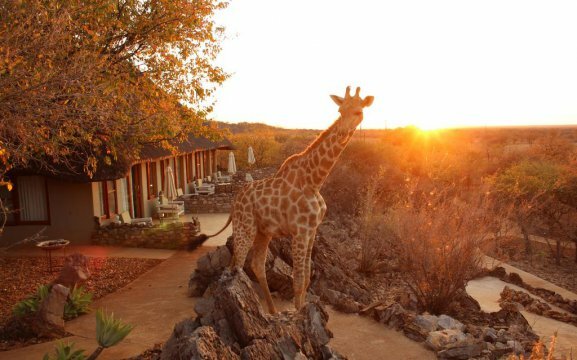 At our sparkling pool, you will find a Giraffe looking down at you while cooling off. 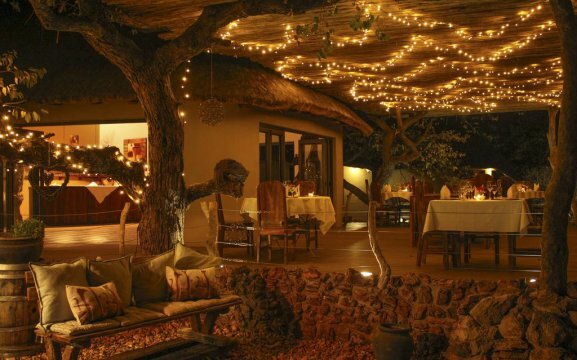 At our boma and lapa, guests can enjoy the bon fire and count the twinkling stars smiling on you. 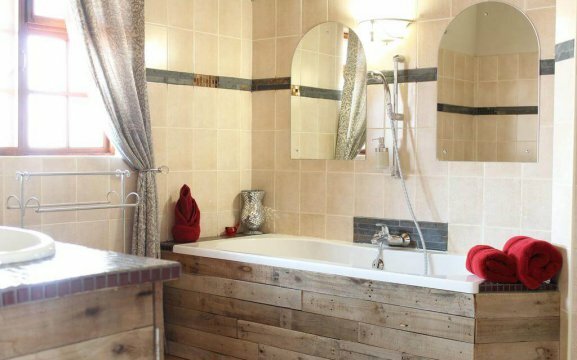 We offer 21 stylish and comfortable en-suite rooms – including Single, Double and Family units. 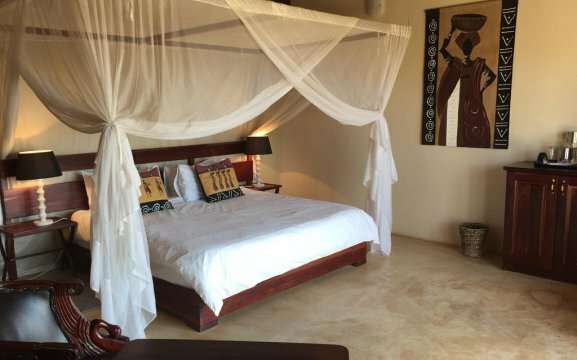 Our rooms have a seating area and veranda with a view into the wilderness. They include tea/coffee facilities, air-conditioning, hairdryers, mosquito nets and gauze over the windows and a safe. 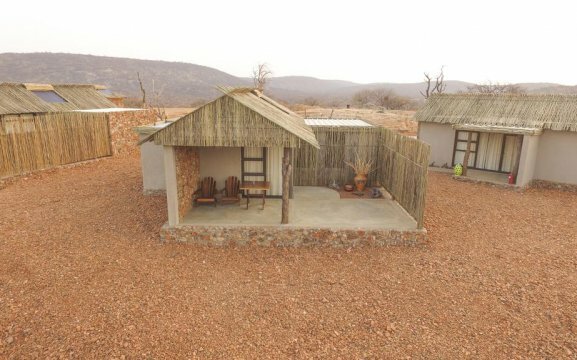 Okutala is a perfect place for Families & Groups travelling together, for maximum 30 people. 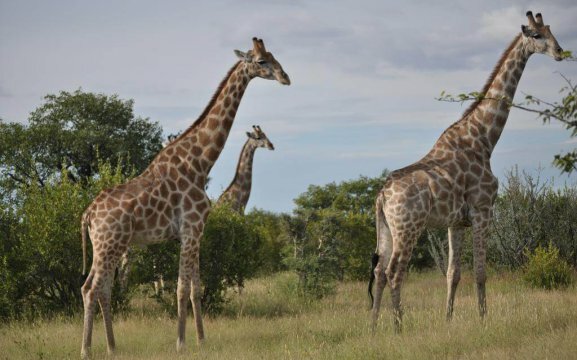 We have family activities that include a Hyena, Giraffe, Elephant, Leopard & Cheetah feeding; Endangered species tour & educational; Guided hiking tours; Cycling safaris, Bush buffets or picnics; Sundowners; Guided tours to Etosha National Park and Animal photography & videography moments up close. We also offer the Xplorer Package. This includes shared accommodation in our Farmhouse and soon newly established Xplorer Village. This package is for guests that have a minimum stay of 2 weeks and ideal for groups. 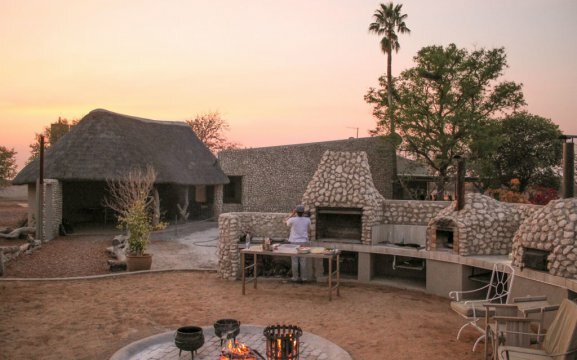 Activities include a camping in the Etosha National Park as well as our farm, with scenic game drives and visiting the different waterholes. We have a Telemetry Experience, where guests can track our wild elephants and learn about their interesting behaviour. 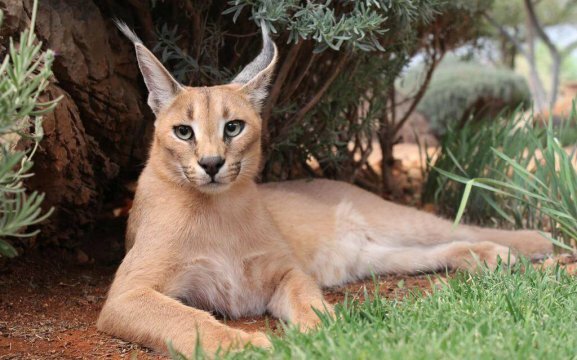 The Animal Experience at Okutala includes supporting our hand-raised, rehabilitated and wild animals. We have different hiking trails and bush craft. 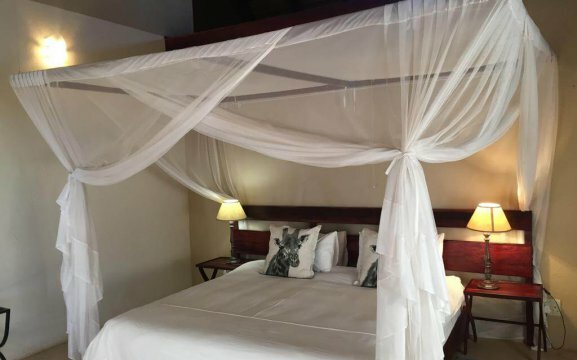 More activities include game drives, flora farm drive, swimming, cooking & baking skills, gardening day, cycling safaris, stargazing, elephant sleep-out, educationals and bird aviary.